his quarter century innings as a full-time DJ coming to an end as we approached the millennium. Having to roll up his sleeves and graft for a living, for many years the studio lay dormant, recording projects grinding to a halt as life took over. Knowing what he was capable of, I thought this was a shame, so once I’d re-connected with the club world via re-edit culture I was always encouraging him to rework older tracks, giving them a contemporary edge, in a similar way to how Late Nite Tuff Guy would interpret classic dance tracks by adding new elements, whilst remaining totally respectful to the original versions. So it came to pass that in 2012 Derek finally brushed the cobwebs away and got back in the studio, reworking ‘Shante’ by Mass Production, a big favorite from the Jazz-Funk era. Having got the edit bug he next fixed on another track that had emerged from the Jazz-Funk underground, ‘Turn The Music Up’ by The Players Association. I’d also suggested he put together a version of ‘Ain’t Nobody’ by Rufus & Chaka Khan that combined the Frankie Knuckles Hallucinogenic Mix with the full vocal of the original version. 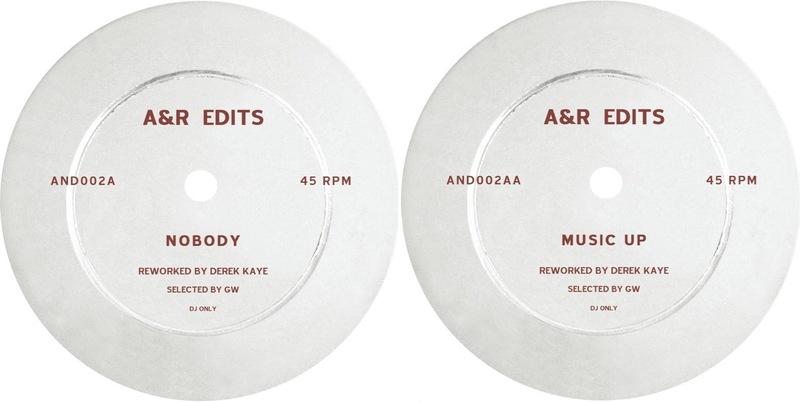 The latter 2 would become really big tunes for me and I was able to select them for a limited vinyl pressing as part of the A&R Edits series, announcing Derek’s arrival on the re-edit scene (he’s since had a further A&R release and his rework of Tony Rallo & The Midnite Band’s ‘Holdin’ On’ is due soon on Whisky Disco, the Florida based edits label). With the studio back up and running and Derek getting in the groove again, the possibility of partnering up for mixes occurred to me. Apart from splitting the workload, saving me a lot of preparation that has to be methodically done and can be one of the most time-consuming aspects of doing a remix, I’d also benefit from Derek’s sonic expertise, for he knows how to cook up a great sound in that room of his, whilst he can also, using his own description, fumble his way around a keyboard if we need further musical elements added. Our first remix together was for Bryan Ferry who was reactivating his ’80s hit ‘Don’t Stop The Dance’. We finished it in late 2012, but, due to a series of delays, it didn’t appear until the following October (as part of a sterling 180gm vinyl package with further mixes by the likes of Todd Terje, Psychemagik, Eric Duncan and the Idjut Boys). In the meantime Derek and I worked on remixes for Daniele Baldelli, Situation and Grandbrothers. 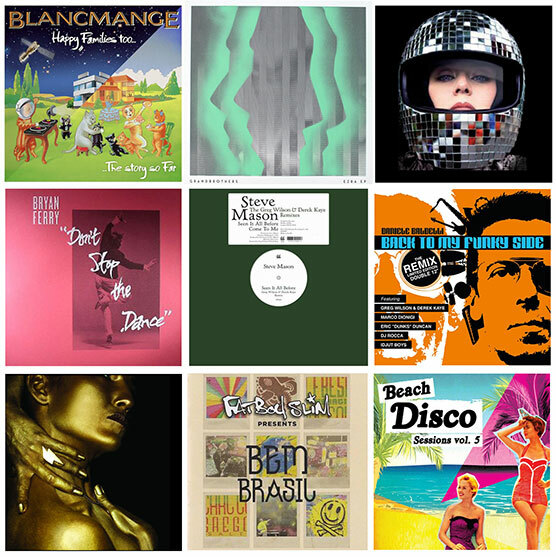 We’ve subsequently taken on mixes for Steve Mason (two tracks), Blancmange, Gilberto Gil, Joan As Police Woman and, most recently, Róisín Murphy, our tenth remix together. Looking at them listed all together, it’s a cosmopolitan collection of artists with Italy, Germany, Brazil and the US represented, along with England, Scotland and Ireland. 3 are older tracks originally recorded in the ’70s (Gilberto Gil) and the ’80s (Bryan Ferry and Blancmange), but the rest were all current. I think we’ve really forged our sound, and I’m very happy with the overall results. We work well together because we’ve known each other far too long for egos to clash. We have complimentary strengths and are able to cover each other’s weaknesses. Although I don’t have the hands-on technical skills of an engineer, I understand the process of building a recording and the key scaffolding of arrangement and vibe. The criteria is always to create a mix that I’d be able to play myself, so the final part of the process is always road testing in situ, over a club system. Our latest remix, Róisín Murphy’s ‘Jealousy’, had a slightly tricky genesis, needing 4 road tests before I was happy (2 is normally enough). The first time I played it out it just wasn’t cutting through properly, so we re-tweaked and I tried again the following weekend, but, although it had improved sonically, it still wasn’t quite doing what I needed it to, so we decided on a re-appraisal of the beats, with the subsequent changes instantly giving the whole track a much better feel. This mix was submitted to the record company, Crosstown Rebels, and gratefully accepted, but during the delay Parrot, the fabled Sheffield Jive Turkey DJ and co-writer / producer of ‘Jealousy’, emailed to tell me he’d recorded some new guitar parts, which he gave us the option of using in our version. I’m so glad he did, as they crystalized the mix – took it all the way there. Now I can’t wait to play it at a festival over a huge system, for there’s so much power and drama in that vocal build – formidable stuff from the former Moloko singer. It’s the 2nd track in the mix. I’m surprised that all the remixes and reworks he’s worked on over recent years haven’t translated into a fuller diary of club bookings for Derek – I’m sure it’s just a matter of time before more promoters wake up to the fact that, given his 40 plus year DJ career, Derek has a rare perspective, having experienced so many historic aspects of UK club culture dating right back to the Soul, Funk and Disco era of the ’70s. Not only would they be booking an excellent DJ who loves his work, but someone with a real legacy. I have a selfish reason for mentioning this. More club bookings for Derek would serve my own aims perfectly, for this would enable him to do less by way of working in the daytime, freeing up valuable studio hours that I could happily utilize in one way or another. Here’s hoping. I’ve only come across Derek Kaye in the last year or so. Seen him play a few times and they’ve all been great. Great read Greg – had Derek over to play in Dublin and he’s quality, both musically and as a top bloke! Anyone who’s heard his work has become an instant fan, his attention to detail and to perfection is incredible. Surely a matter of time till he gets the recognition he deserves! Big up Derek mate and can’t wait for our next gig! 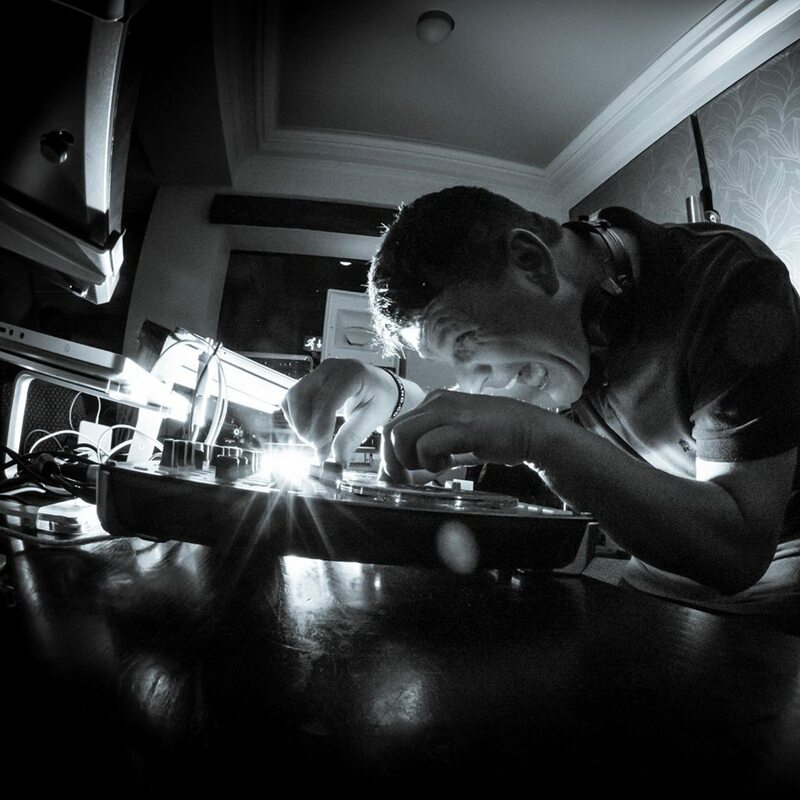 A great read here Dereks reedit of Chaka Khans ain’t nobody does what (dare i say it) Frankie Knuckles mix should of done , its a ten minute delight which is the talk of many resident djs out here in Ibiza as a masterful gem. Art Department chose it as the final tune to close the garden at dc10 closing!! I put on little Charity events and asked Derek if he wanted to play for us, i was delighted he said yes he came down and read the room perfectly and delivered a perfect set full of energy and experience and was all round a top bloke! Cheers for the heads up, have followed Derek on soundcloud and will check his mixes. Can’t wait for bank holiday Sunday! !